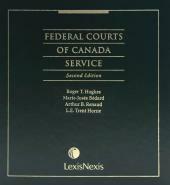 Only Canadian Federal Courts Practice, 2019 Edition / Pratique devant les Cours fédérales, édition 2019 provides all commentary, indices, a list of judges and registry offices and an overview of Federal Court practice in English and French. Designed for both English and French practitioners who appear before the Federal Courts, this guide on the Federal Courts Act and Rules, and Federal Courts practice, provides up-to-date, section-by-section annotation and commentary for your quick reference. 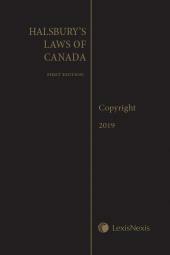 All commentary, full text of legislation, Forms and Federal Courts of Canada Notices to the Legal Profession are offered in both English and French. Arthur B. Renaud is Senior Counsel to Bennett Jones LLP. 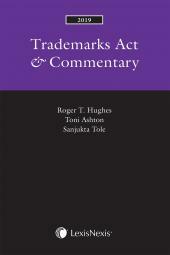 He serves as litigation counsel in intellectual property matters. Mr. Renaud has been certified as a specialist in all areas of intellectual property law by the Law Society of Ontario. He has appeared as counsel in all levels of court, including the Supreme Court of Canada, in the intellectual property field. L. E. Trent Horne is a partner at Aird & Berlis. Mr. Horne has been certified as a specialist in all areas of intellectual property by the Law Society of Ontario. He has particular expertise in patent litigation and has appeared as lead counsel in matters before the Federal Courts and the Courts of Ontario.